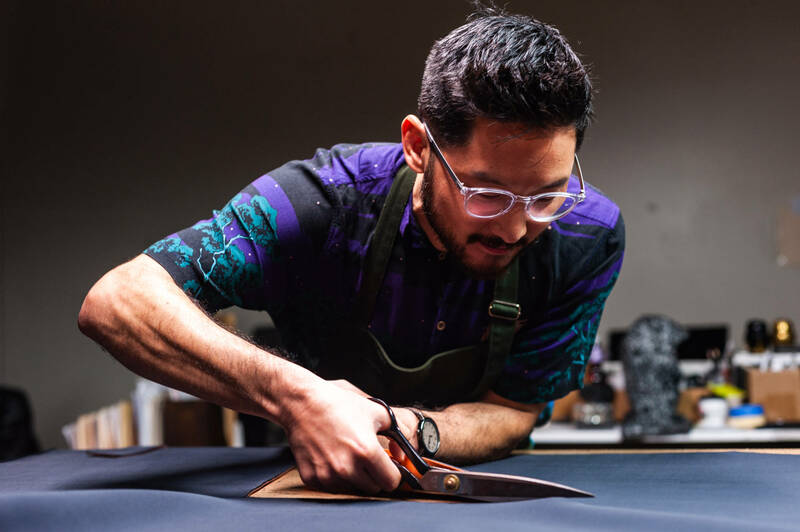 Spotlight: Linda Cho | A.R.T. Linda Cho is a Tony Award-winning costume designer whose recent work includes A Gentleman’s Guide to Love and Murder, Anastasia, and Lifespan of a Fact. 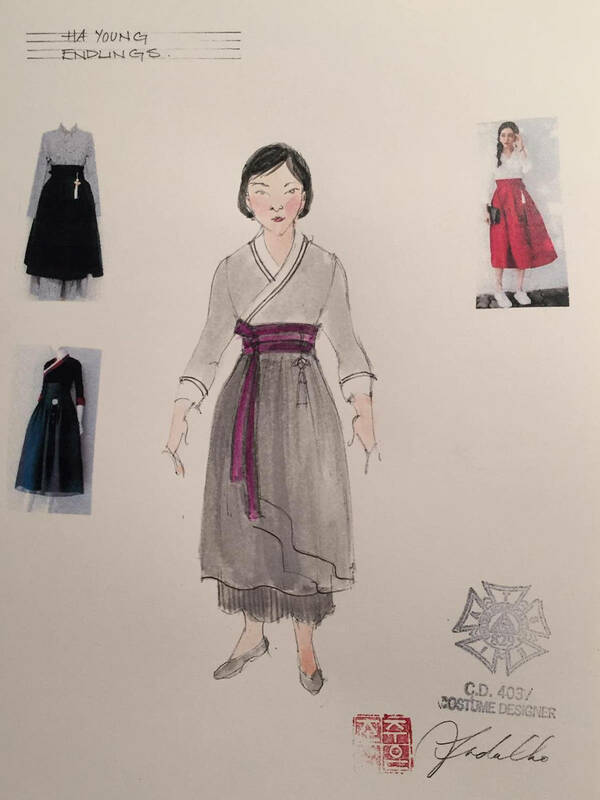 Between costume fittings for Endlings, she shared her designs for the production. 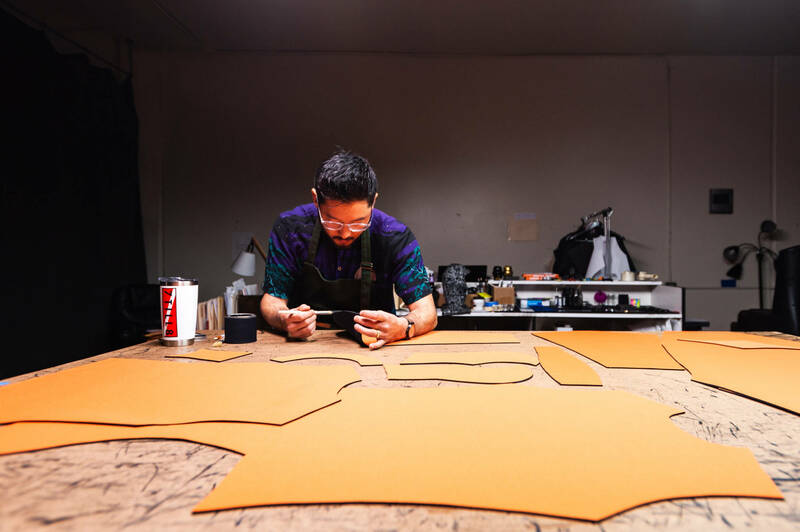 How did your design process for this show begin? The starting point for designing this show was to look at images of actual haenyeos. 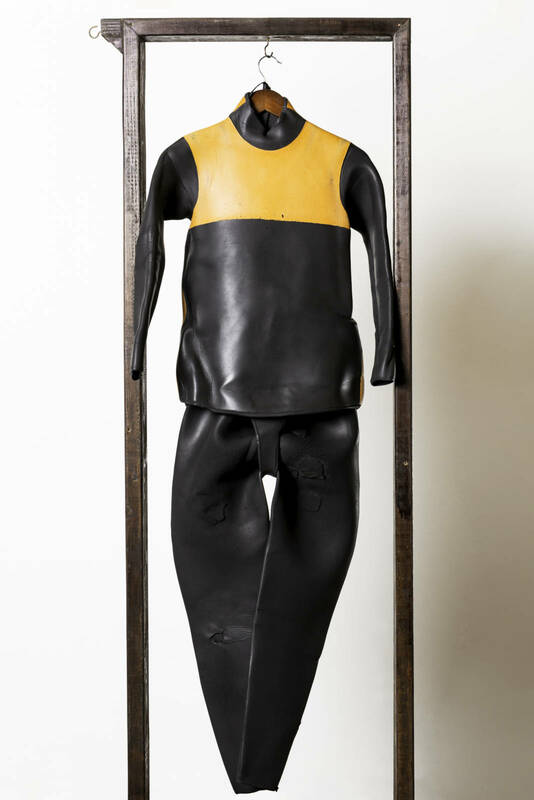 In real life, these women wear full pants and shirts underneath their diving clothes, which are neoprene and water-resistant. 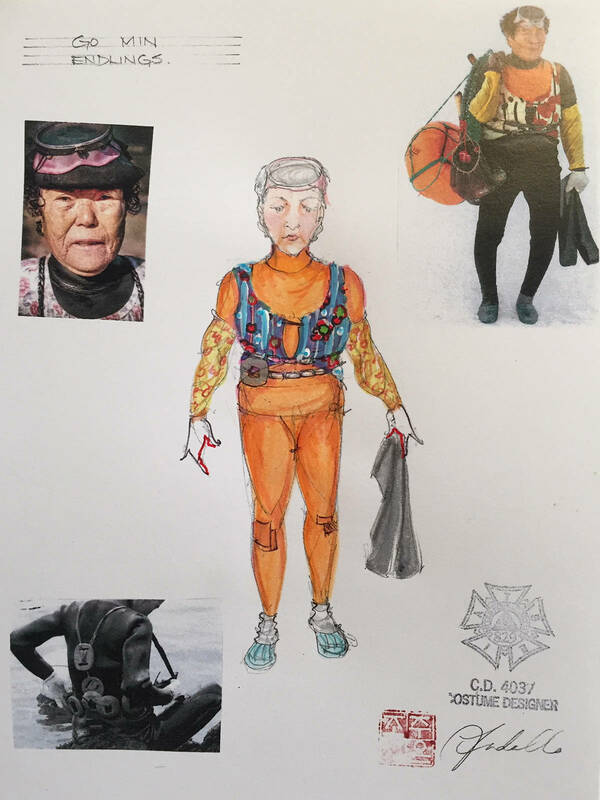 It was also a joy to discover that there’s a real liveliness to the clothing that they choose to wear on the outside of their diving uniforms—bright colors, bold patterns, purely for the joy of it. At some points in the play, the performers will actually be swimming on stage. 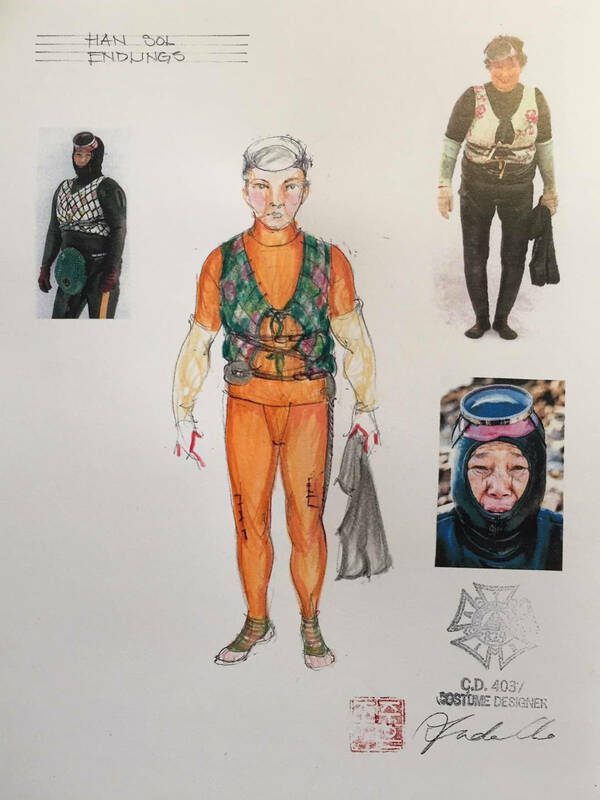 Have you ever designed underwater costumes before? This is my first underwater experience! It’s been really exciting to think about the materials, and what’s going to read underwater, and the practicalities of construction. 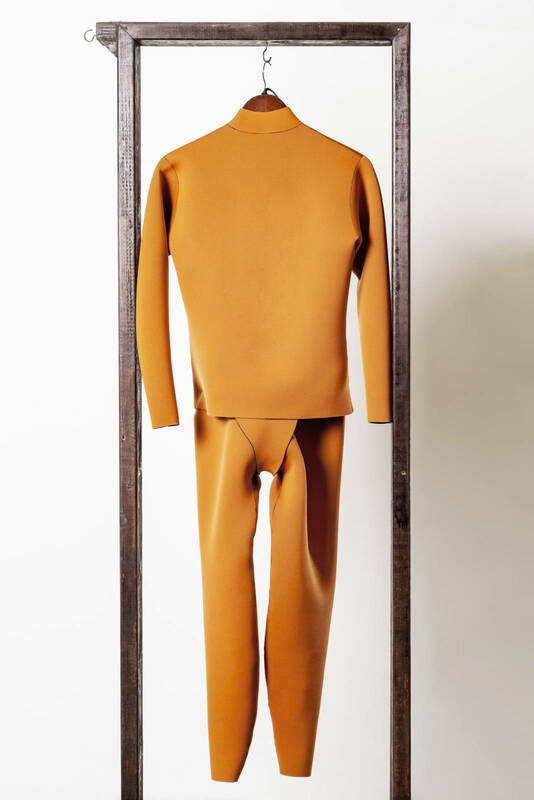 Sammi, our director, went to Jeju Island in South Korea and was given some real used diving suits, so we had a great reference. 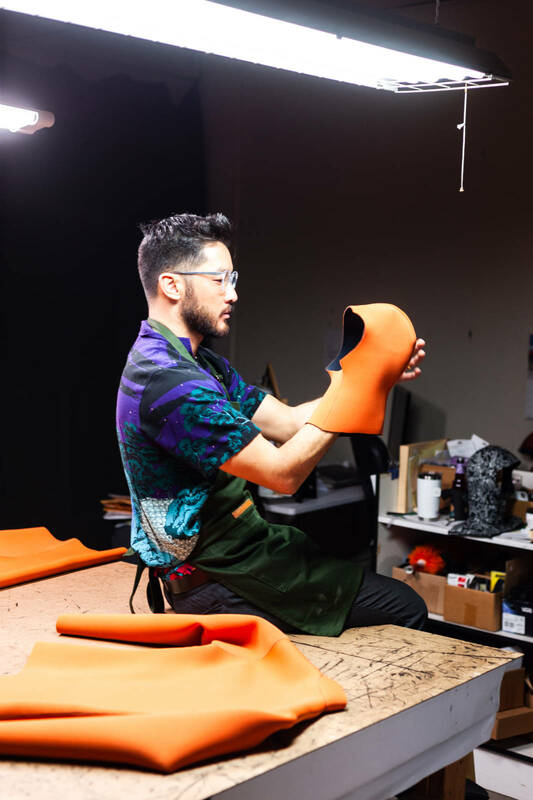 The wetsuits in the play are being made in California by 7TILL8, an Asian-American company which was extremely enthusiastic about looking at the research supporting the production. 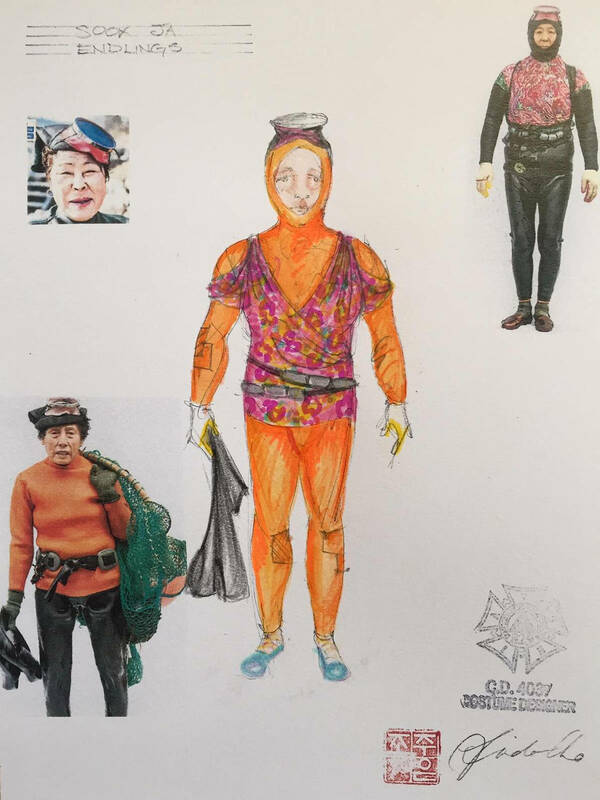 What can you tell us about some of the other costumes in the play? In one scene, the characters are wearing hanboks—a traditional Korean outfit. Han Sol, who is an older woman, wears a traditional silhouette, while Ha Young appears in a modernized version of the traditional garment. There’s also a turtle. 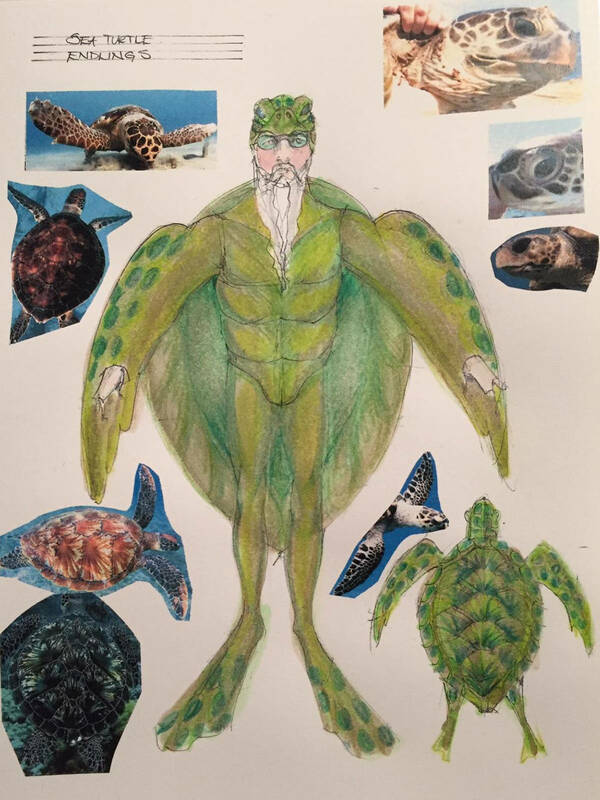 I wanted to mix the realistic with some humanoid elements: this turtle has a long white beard, so we read that he is ancient.